TOTs Hides in Plain Sight, While Children Suffer in Silence Children, ranging from newborn to teenagers, currently suffer from Tethered Oral Tissues (TOTs) such as lip, cheek and tongue ties, which may negatively impact a child’s developmental progress and cause a variety of systemic health conditions. With the proper laser equipment and training, pediatric and family practice dental clinicians can safely and quickly release tethered oral tissues during a chairside office procedure. Children with undiagnosed and untreated sleep obstructive breathing often display behavioral and developmental disorders that result in social stigma, health challenges and years of prescribed medications that do not treat the underlying cause. ALD invites you to a full-day Saturday Pediatric Symposium: “Lasers in the Pediatric Setting – TOTs,” conducted by Dr. Lawrence Kotlow, one of the world’s leading pediatric dentistry laser practitioners, along with an impressive roster of industry thought leaders. This comprehensive 6-hour CE seminar covers the assessment, diagnosis, treatment and aftercare of tethered oral tissue laser revisions in infants and toddlers. Included is how the breastfeeding and post-surgical team need to work together for successful revisions. Airway, Breathing and Children...Pay Attention To This Now! Is Tongue Tie the Root Cause of Childhood Chronic Disease? 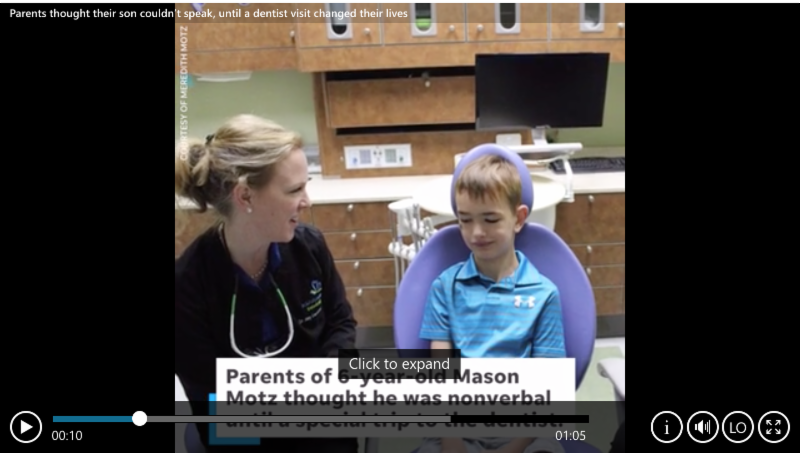 ALD member Dr. Amy Luedemann-Lazar of Kidstown Dental in Katy Texas, helped a young non-verbal boy speak by properly diagnosing his tongue tie condition and then performing a successful laser frenectomy. Just another great example how laser technology in the hands of qualified clinicians is making a positive impact on the lives of patients. Take advantage of the early booking rates! ALD 2019, April 4-6 will be held at the Hilton Dallas/Plano Granite Park in Dallas, Texas. Take Advantage of the Special Early-Bird Rates!